DVD to iPad Converter from Socusoft is an all-in-one video converter, you can use it to rip DVDs and convert Videos for playback on BlackBerry as well. It is an excellent video tool for mobile, smartphone, tablets and media players. This powerful BlackBerry video format Converter supports all the BlackBerry family. It can convert DVD and almost all kinds of videos to Blackberry video for Blackberry Storm 9530, 9500, BlackBerry Bold 9000, BlackBerry 8800, 8830, 8820, BlackBerry Pearl 8100, BlackBerry Curve 8300 and more with high output video and audio quality and customizable profile. 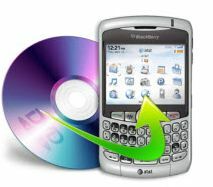 This DVD to BlackBerry Converter provides rich options when rip DVD, such as video trimming, movie cropping and effecting. You can customize video bitrate, audio bitrate, video resolution, audio volume, etc. What’s more, it can convert many more video formats to BlackBerry and you can download YouTube/Google videos to BlackBerry with it as well. How to Convert DVD to BlackBerry Videos? Click the “Open DVD” button to load the DVD movie you are going to watch on your BlackBerry. After the movie is imported, there is a list showing each DVD chapter/title. Blackberry supports formats like MP4, WMV, AVI, 3GP, AAC, MP3, WMA etc. Here we choose to rip the DVD to MPEG-4 Movie (*.mp4) for playback on BlackBerry. Click to expand the Profile lists of all preset profiles, select General Videos, then MP4 – MPEG-4 Video. Click “customize…” button next to the profile selector. You will get a dialogue for you to customize video and audio settings for Blackberry. From the Profile Settings window, you can change video size, frame rate, encoder for the video that you want to put on to your Blackberry smartphone. 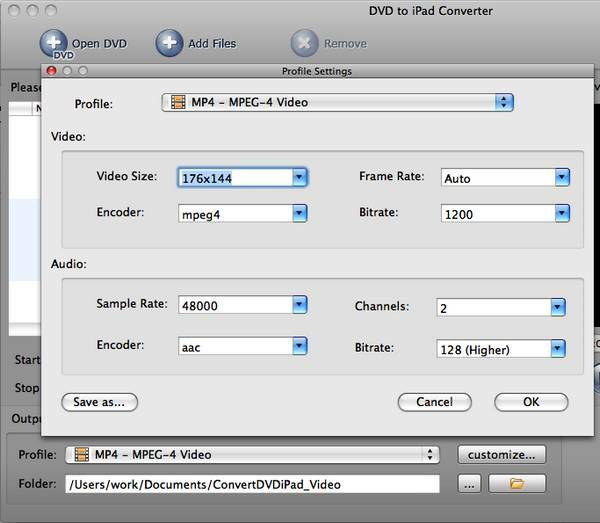 When all is ready, click “Convert Now” to begin the video conversion from DVD to BlackBerry video on your Mac. Now you know how to convert DVD and videos for BlackBerry!